According to the National Commission on Sleep Disorders, millions of Americans are needlessly suffering from undiagnosed or misdiagnosed sleep disorders. While poor sleep can have a negative effect on performance, alertness, memory concentration and reaction times, it is also being linked to other health issues such as heart disease and depression. Sleep disorders are a serious health concern. It is especially important for persons suffering from hypertension, diabetes, obesity and heart failure to see a sleep specialist for the detection and treatment of sleep apnea as it may prevent heart attacks and strokes as well as minimize underlying symptoms of other diseases. Left untreated, sleep disorders can lead to increased health risks and an overall lower quality of life. 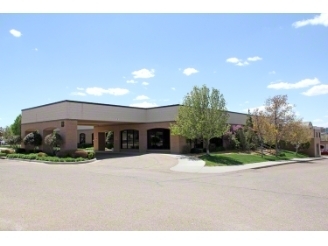 The sleep disorder center at Amarillo Diagnostic Clinic opened in 1999 and is a comprehensive clinic accredited by the American Academy of Sleep Medicine. Our sleep center is supervised by highly trained, highly qualified, and board certified physicians. Using the latest technology for diagnosing and treating sleep disorders in a comfortable and home-like atmosphere, our team of sleep professionals is dedicated to improving the sleep of our patients. Polysomnogram (PSG) – a diagnostic test which monitors brain activity, breathing and leg movements which helps to evaluate sleep apnea (obstruction of air flow) or a condition known as periodic leg movements of sleep. Multiple Sleep Latency Test (MSLT) – a daytime sleep study which evaluates how fast a person falls asleep. The first step will be an initial visit with our sleep specialist who will review your medical and sleep history. You will then schedule an appointment for an overnight visit. To help determine if a sleep disorder exists, your physician will need to know what physiologic chances occur during your typical night of sleep. We do this by recording your brainwave pattern (known as the EEG) as well as your eye movements and degree of muscle tone. Using an EKG monitor, we will measure your heart rate and check for irregular heart beats during the night. Other measurements will include oxygen saturation, snoring, leg movements or jerking and respiratory effort. An intercom in the room will allow communication with the technician should have any questions or require assistance. Studies will usually begin between 8:00pm and 9:00pm and will conclude at about 6am. You will then follow up with your physician who will make recommendations for treatment of the disorder. We are a team that’s committed to making sure our patients get the best sleep possible. Contact us if you have any questions or to set up an appointment.